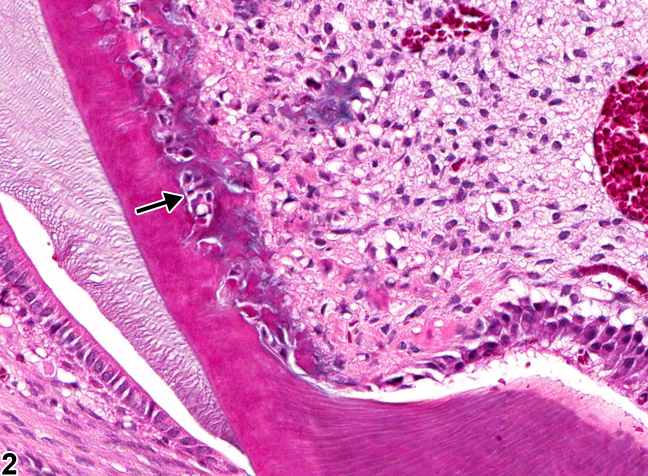 Tooth, Incisor - Degeneration in a female Harlan Sprague-Dawley rat from a subchronic study. 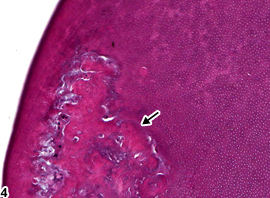 Odontoblast degeneration and dentin niche formation (arrows) are present. 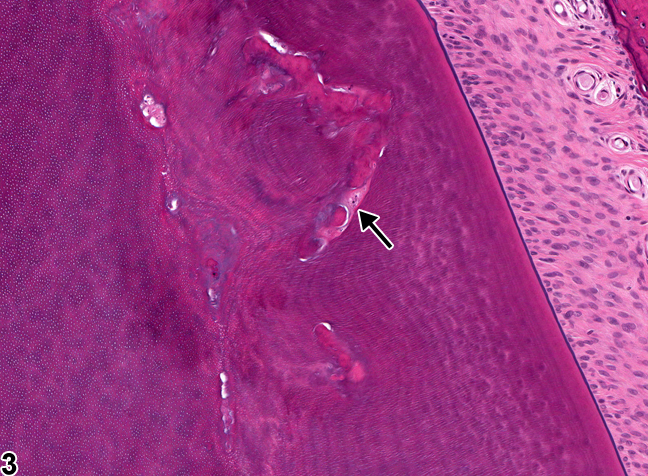 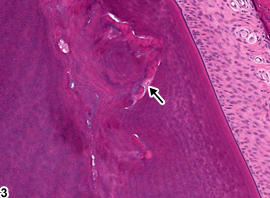 Tooth, Incisor - Degeneration in a female Harlan Sprague-Dawley rat from a subchronic study (higher magnification of Figure 1). 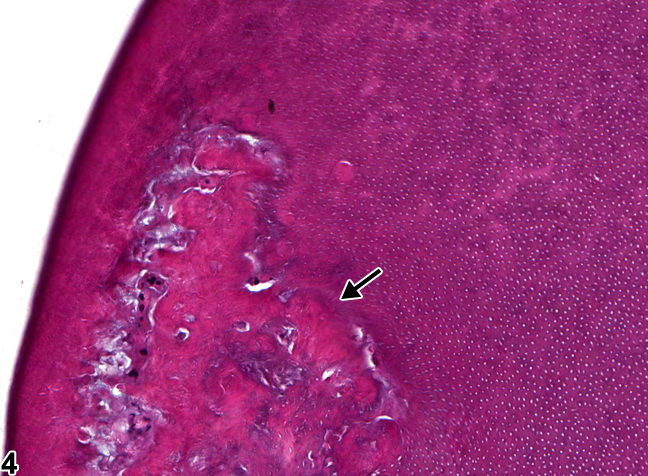 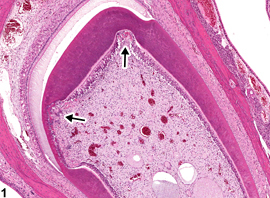 There is thinning of the dentin layer and loss of and degeneration of odontoblasts (arrow) in a dentin niche. 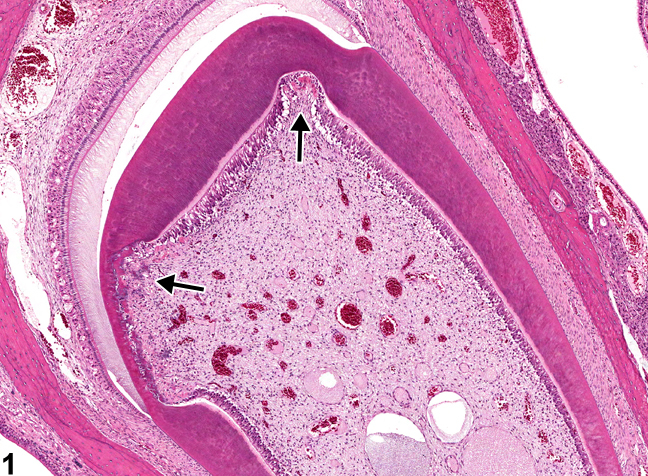 Tooth, Incisor - Degeneration in a female Harlan Sprague-Dawley rat from a subchronic study. 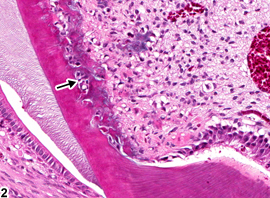 Abnormal dentin and osteodentin production (arrow) are present.